The practical height grid and the systematic spacing of the form-ties make it possible to form widely differing height-combinations quickly and easily. 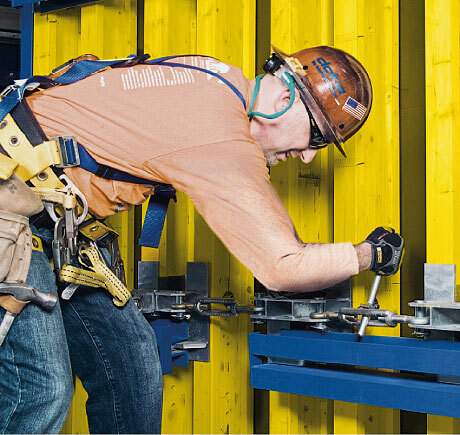 The circular formwork elements are easy to adjust – steplessly – with reference to a flexible template. 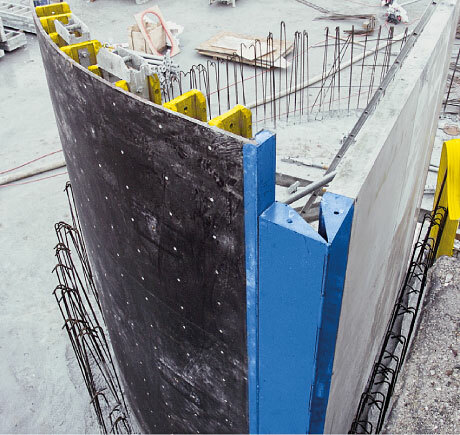 A special end-profile makes it easy to connect the system to other Doka formwork systems such as Framed formwork Framax Xlife or Column formwork RS. 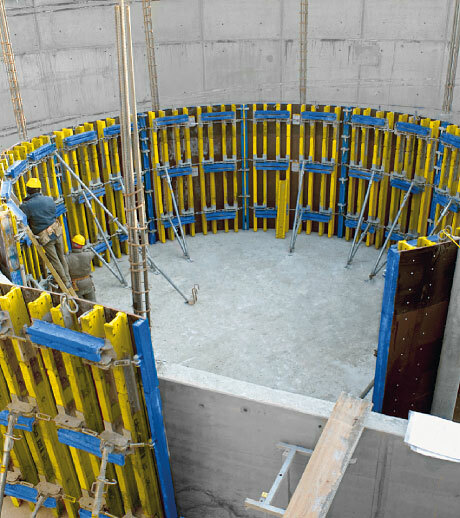 The site-ready, pre-assembled elements (one each for the inside and outside formwork) can be continuously adjusted with reference to a flexible template, to set radii of down to 3.50 m.
Circular formwork H20 is easy to adapt to different radii, simply by turning the spindles – for a smooth construction workflow. 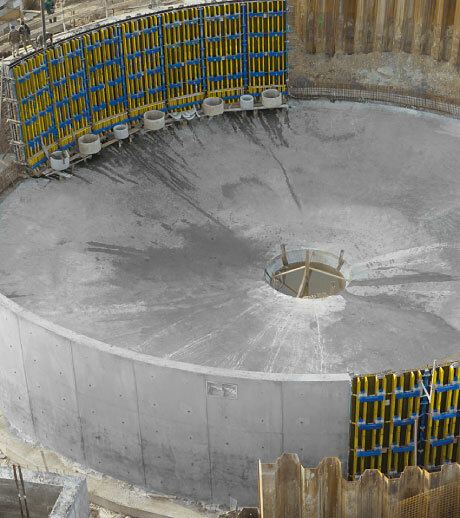 Thank you for your interest - Circular formwork H20. 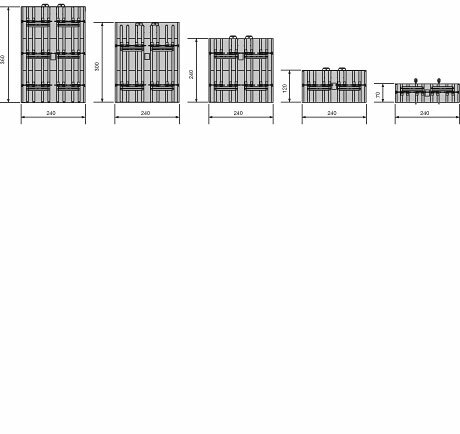 Thank you very much for your interest - Circular formwork H20.